The promotion of reading is the main objective in all schools. Students have not only read the materials needed to carry out the project activities, but have also enjoyed a central library and / or classroom library to encourage reading for pleasure and participate in a challenge to read more books than children from partner schools. 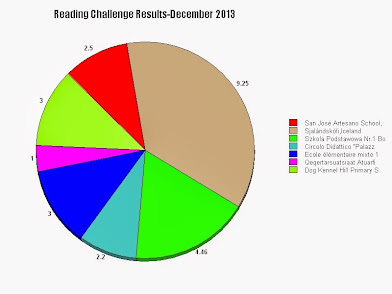 Results were reported via Flashmeeting and Maths graphs. 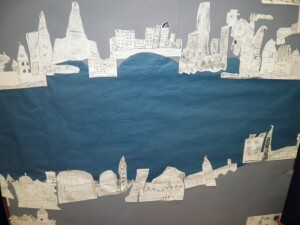 Dog Kennel Hill Primary School from UK!!! 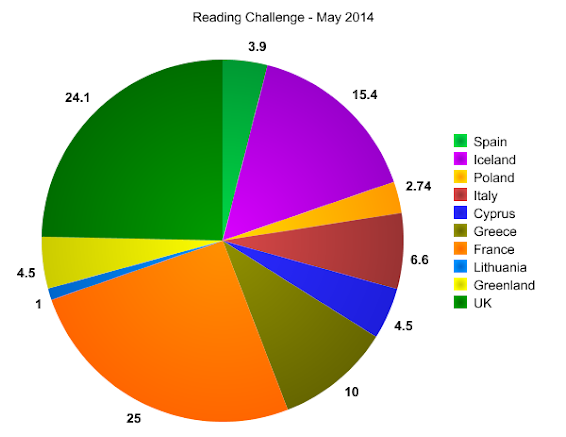 As part of our international project studies children in Year 2 will be taking part in a challenge to encourage reading within our year group. Our Comenius project is entitled ‘Once Upon an Island’ where we will be encouraging children to read as many Island or Water themed books as possible. Children will record their books read and these will be displayed in the lower school hall on several of the large boards. 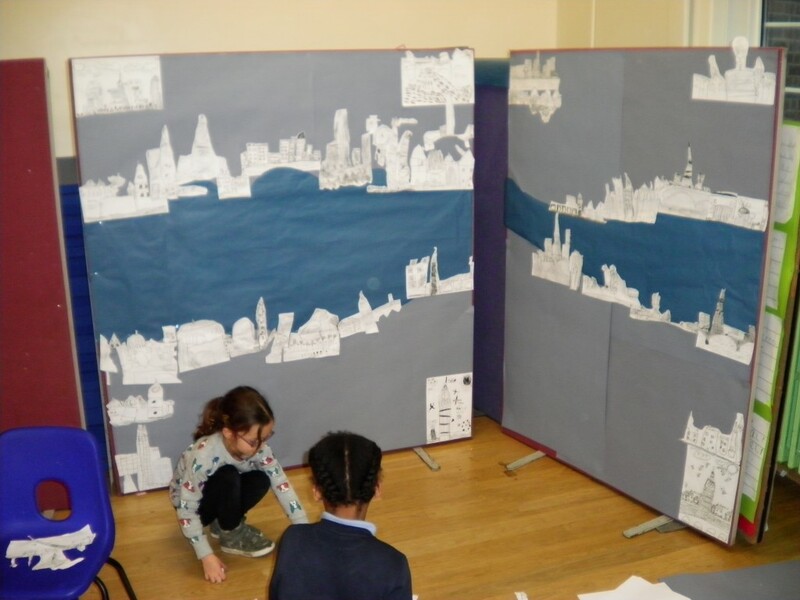 We have been busy making art work inspired by artist Stephen Wiltshire of some of the famous scenes and buildings around London and have included them on our River Thames display which can be seen below. As well as the reading challenge Year 2 will be writing a collaborative story with their partner schools around the world – more to follow! The winner is Guadeloupe, France! Average number of books per child. Children write their name and title of the book when they´ve finished reading it on a drop shape, they count the drops and nominate winners and calculate numbers for flashmeeting. Then stick the drops on our big cloud.